The worldwide leading innovator of audio, video, communications and IT products, Sony has announced the upcoming launch of its new extraordinary design, vivid Sony VAIO C Series netbook, which the company claims as its first laptop feature 3D output as well as unique light-emitting translucent style option. The new VAIO C Series combines stunning 14.1″ LED backlighting display, Intel Core i5 processors, AMD Radeon HD 6470M graphics with HDMI connectivity that supports 3D, and up to 4GB of DDR3 memory to making it a fully featured notebook PC. 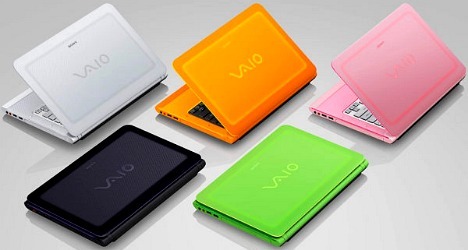 The new ultra-portable Sony VAIO C Series netbook comes in 4 vibrant colors including neon orange, neon green, lightning white, and bolt black will hit the market beginning 13 March 2011, and the price is starting at around $880.